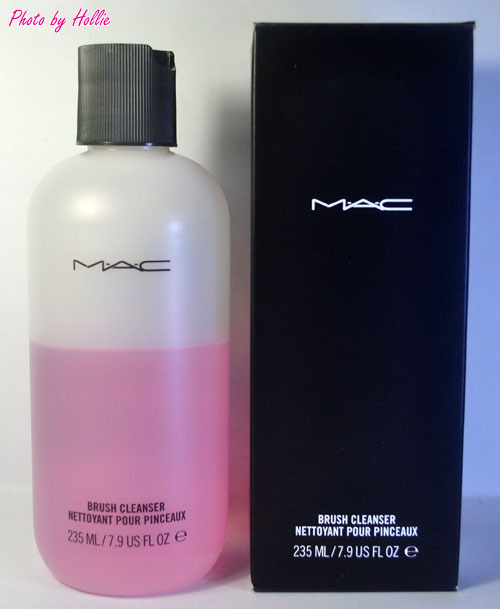 Before I tried using the Mac Brush Cleanser I was used to washing my make-up brushes with just a mixture of liquid hand soap and baby shampoo. I cleaned my brushes this way every two weeks. I got tired of doing this because my brushes takes too long to dry and sometimes the face brushes has to be washed twice before I dry them out. Another thing, the brush ferule gets wet most of time and I'm afraid it might cause my brushes to start shedding. A few months ago, I finally decided to buy the Mac Brush Cleanser. I've used this cleanser for a couple of times during my Mac stints in Rustan's Ayala Center Cebu and I was impressed with how quick it cleans the brushes. * small amount goes a long way, I had this bottle since May and it's still half full. I just transferred some of the product in to an atomizer or spray bottle. 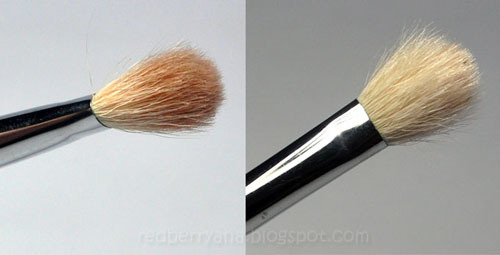 I spot clean my brushes every after use especially on makeup gigs. Overall, this an good brush cleanser. But I have to try out other brush cleansers from various brands, so that I can really compare. I'm planning to buy the Parian Spirit Brush Cleaner next so that I can compare the two. I still wash my brushes with the liquid hand soap and baby shampoo mixture, but I only do this once a month just to really get rid of the brush dirt. Makeup brush cleansers and just good for spot cleaning.